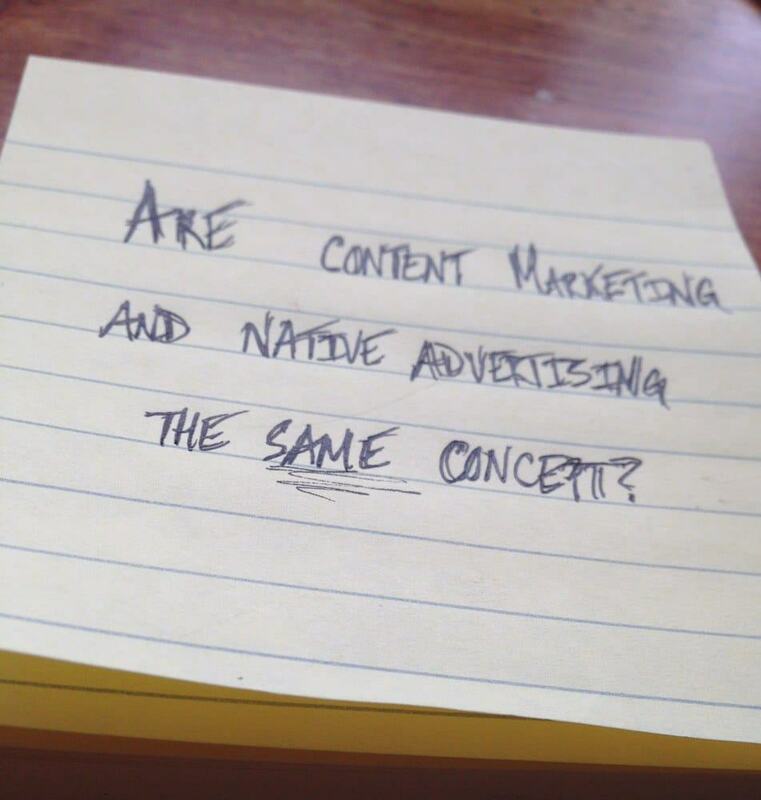 Are Content Marketing and Native Advertising the Same Concept? Content marketing is the same thing as native advertising, right? There is a distinct difference between content marketing and native advertising. It's helpful to clearly define each of these concepts and how they interact with each other. Content marketing involves two phases: content creation and content distribution. Content marketing is founded on creating organic (original) content, such as blog posts, white papers, eBooks, tech guides, research manuals, any type of content you can think of that both engages and educates the viewer. Content marketing is most valuable through the strategic distribution of that same content to attract, engage, and convert prospective buyers into clients. 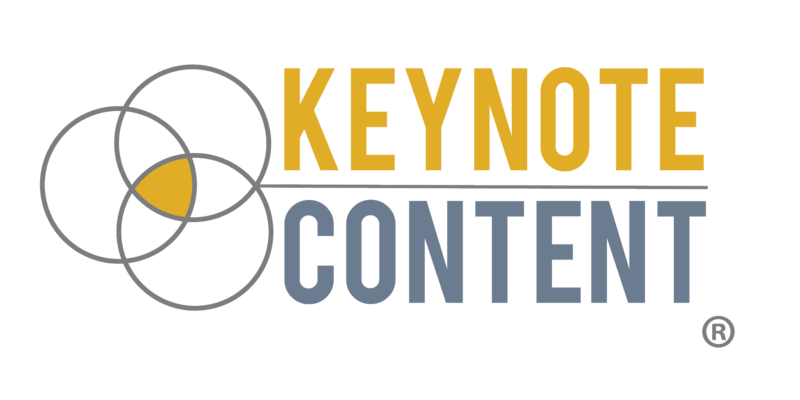 (If you want a really good explanation of content marketing, check out Content Marketing Institute's What is Content Marketing?) Content marketing relies on foundational content specific to your brand or your brand interests that you can use to serve both current and prospective clients. A lot of companies and entrepreneurs are just now starting to understand the power of content marketing. Content marketing isn't a new concept though. People have been using content of all mediums to attract people's attention all the way back to the time of ancient Rome. Content marketing is built on the premise of helping people find the answers they need, and then providing them with the right information to make a consumer-based decision (ex: "Buy our products."). Native advertising is when marketers pay a third-party entity, like Google or Facebook, to promote a specific piece of content. As the names suggests, it's "pay to play," but the "native" part is where it gets interesting. Native advertising is designed to blend into a third-party's website design and is usually highly targeted. A web banner is not native advertising because with one glance you can tell it's promoting another site, service, or company. A native ad looks, smells, and feels like it actually belongs on the third-party's site. You can get a great overview of native advertising here. Now comes the question of the hour: can content marketing and native advertising play nice in the same sandbox? Absolutely! Native advertising and content marketing are closely related. You may even refer to the same content through native advertising as you would in content marketing. The difference is that with native advertising you're paying for placement that intentionally blends in on another company's media. Writing great content is crucial for building credibility and industry authority. Paid advertising, specifically native advertising, is a fantastic way to promote your business in ways that most naturally interact with a viewer. Content marketing and native advertising: closely related but not the same concept. Each of them have unique roles in helping the right people find your business at the right time. Be sure you understand how one enhances the other.